School finished yesterday, the children have gone home for the summer and the classroom is empty. 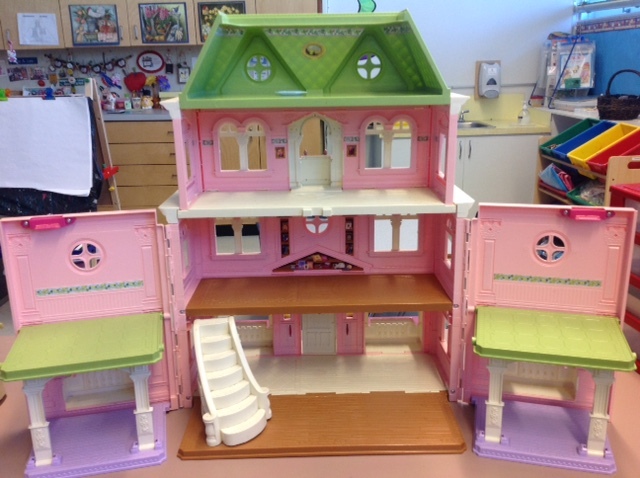 But we’re starting the final clean-up and it’s time to put away the dollhouse. It’s tidy…and looks so clean. And a much neater place than the rest of the classroom (who owns all this stuff, anyways?). It’s a tiny piece of calm right now. We’ve always known that the state of the dollhouse is reflective of how we’re doing. What a wonderful place for those children to be in their thoughts and minds, where they could demonstrate their feelings about how they felt exactly at that moment as they finished playing with the dollhouse. They must have felt very calm and relaxed. Have you ever noticed how some people are just so incredibly calm? Even when it’s the height of busyness all around, and you’re starting to feel overwhelmed, these special individuals exude calmness. You feel better when you’re around them, listening to them speak and realizing “everything’s going to be alright.” What is it that makes these folks so calm….and peaceful? We believe mindfulness is the key. The mindful person is always in the moment, living in the present and just enjoying every feeling, thought and spoken word that is happening right now. At a workshop presented last year by one of our district counsellors, Dr. Aron White explained mindfulness as a means of paying attention in a particular way, purposefully being in the present and non-judgemental. Derived from Buddhist traditions, Dr. White described the three core components of mindfulness as attentive awareness, receptive attitude and intentionality, which can be cultivated in any situation or environment. When we are mindful, we want to stay in the present. Being caught up in the past, worrying about the future, or just being on “auto-pilot,” leads to a preoccupation in our thoughts with things, instead of experiencing them. We lessen our experience of contentment, peace or even fleeting happiness if we are wishing for our circumstances to be other than what they are. So what can we do to cultivate mindfulness in our classrooms through everyday teaching? Take some time everyday to be mindful of the present. In our classrooms, that means creating a routine to practise controlled, deep breathing sequences as a self-regulation strategy for the children to quiet themselves, and focus their minds on the here and now. We build our stamina, starting in September for about 45 seconds, to the three minutes where we are now at the end of June. We’ve managed to keep this routine fairly consistent so that everyday after the morning recess, the children gathered in the meeting area to listen to quiet music and were led by us in mindful breathing. The children get ready by sitting cross legged, a straight back and eyes closed or looking down. It’s a routine we teach and continue to refine and reinforce all year. A change-up to this routine is to use a Zenergy chime at the beginning and end of each deep breathing sequence instead of music. When we use the chime, we call it the “Core Practice,” which is part of The MindUp Curriculum. We play the chime once, and ask the children to focus on the sound until they can’t hear it. Then we start the deep breathing sequence, and meditate on moments of pure quiet and calm. 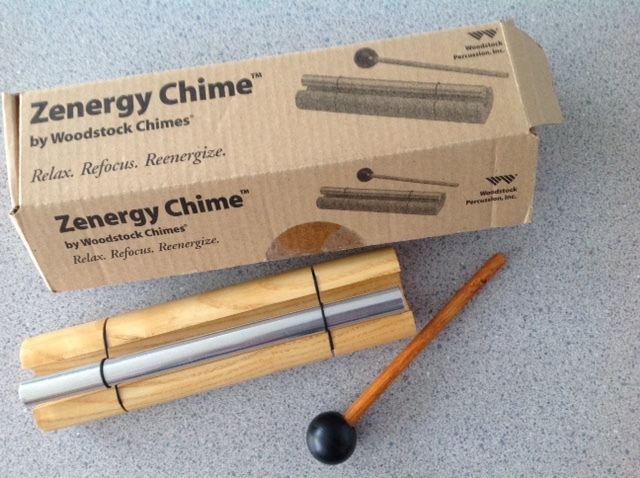 We end with playing the chime again, being mindful of the sound, and the children are to keep their eyes closed until they can no longer hear the chime. We don’t watch the children as they’re breathing; that would be a distraction. Instead, we’re modelling the behaviours we expect from the children. We’re using this time for ourselves to focus on the present, and to be mindful of where we are and what we’re doing. We feel as refreshed as the students, calm and peaceful, and it makes a positive difference to our teaching. We talk about being mindful quite often, and within the context of the classroom and playground. 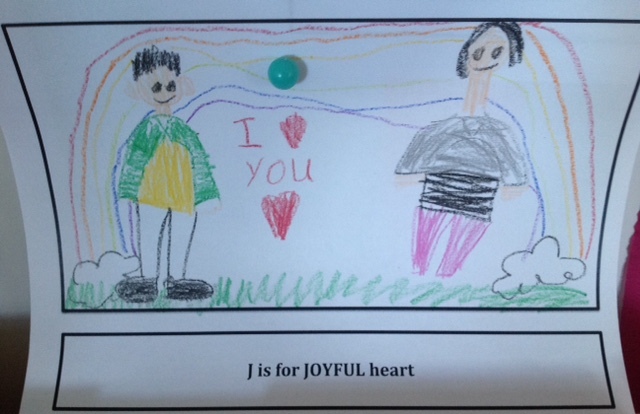 We want the children to be aware of their words, actions and surroundings as they move through their day and how those same words and actions affect not only themselves, but others as well. A wise Kindergarten child once shared that when we’re focused or concentrating on what we’re doing, we’re not thinking about anything else. Today’s post was inspired by our Ridgeview Principal, and dedicated to our dear Education Assistant who retired this June. From our hearts to yours, we will miss you.